Mahogany Coffee Table. Also Available but Not Included in the price. Matching Mahogany End table.Dimensions: 47In. x 23In. x 17In. 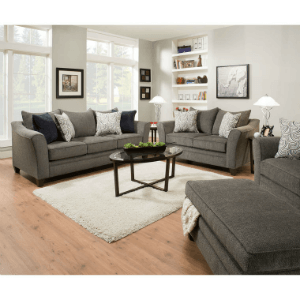 3-Piece Pack Set Coffee Table Size, 48 In. x 24 In.x 16 In. H. End Table Size, 22 In. x 20 In. x 20 In.H. Strong Construction. Easy To Assemble. Wood Mahogany End Table.Dimensions: 23In. x 23In. x 17In. 3-Pc Coffee Table Set In Rustic Oak Finish And With Metal Base. Details: End Table: 22L. X 22W. X 20H. ; Coffee Table: 46-3/4ÃL. X 23-3/4W. X 16-1/4H.. Easy To Assemble. Strong Construction. 3 Piece Ivory Coffe Table Set. Strong Construction. Easy To Assemble. Measures: Coffee Table 48 x 24 x 16H. End Table 22 x 21 x 20H. 3-Pc Occasional Set in Oak. Includes Coffee Table: 44L x 22W x 15H and 2 End Tables: 19.5L x 17.5W x 18H. Strong Construction. 3-Piece Pack Cherry Coffee/End Table Set W/ Star Design. Coffee Table Size, 48x24x14H. End Table Size 22x2119H. Easy To Assemble. Acme 6025. 3 Pc Coffee/End Table Set. Includes Coffee Table And Two End Tables. This Set Is Simple Yet Beautiful For Your Home. Strong Construction. Easy To Assemble. Dimensions:Coffee Table: 44 In. x 22 In.End Table: 20 In. x 20 In. Coffee Table In Dark Walnut Color and Solid Wood. Easy To Assemble. Measures: 38 x 57D x 17H. Also Available Matching Tables Not Included In The Price. End Table 4578E (IEM) Measures: 28 x 28D x 22H, Sofa Table 4578S (IEM) Measures: 20 x 57D x 30H. 3 Pc Slate Tile Top Set. Includes One Coffee Table And Two End Tables. This Set Is Beautiful And Perfect For Your Home. Strong Construction. Easy To Assemble. Dimensions:Coffee Table: 48 In. x 24 In.End Table: 24 In. x 22 In. Square Coffee Table Size, 38x38x17H. Optional (Not Included In The Price): a)Rectangular Coffee Table Size, 52x30x17H. b)End Table Size, 24x30x21H. c)Sofa Table Size, 52x18x26H. Easy To Assemble. Acme 6458. Wicker Basket Table. Coffee Table Measures: 48 x 24 x 18 H. 2 End Tables each-Measures: 24 x 22 x 20 H.
Hope Chest Occasional Tables With Storage Tops and Sulpted Metal Legs.In Rustic Pine Finish.The End Table Comes Separately (1629-PNE). 3 Pc Coffee/End Table Set. Includes Coffee Table And Two End Tables. This Is Simple And Elegant For Your Home. Strong Construction. Easy To Assemble. Dimensions:Coffee Table: 48 In. x 24 In.End Table: 22 In. x 20 In. 3-Piece Pack Coffee End Table Set. Dark Cherry Finish. Coffee Table Size, 48x24x16H. End Table Size, 22x20x20H. Easy To Assemble. Acme 7131. Cappuccini Finish Coffee Table. Curved Design. Dimensions: 51-1/4L. X 28W. X 18-1/2H.. Also Available (Not Included In The Price) End Table: 24Dia., 22H. ; And Sofa Table: 52L. X 18W. X 30H.. Easy To Assemble. Strong Construction. 3 Piece Coffee End Table Set. Easy To Assemble. Measures: Coffee Table 45 x 27 x 24-1/2H. End Table 24 x 21 x 24-1/2H. Occasional Tables. Features Coffee Table, End Table And Console Table. This Is Simple Yet Beautiful For Your Home. Strong Construction. Easy To Assemble.Dimensions:Coffee Table: 48 In. x 24 In.End Table: 24 In.Console Table: 48 In. x 18 In. Coffee Table Size, 48x24x18H. 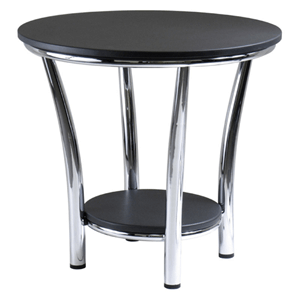 Optional (Not Included In The Price): a)End Table Size, 24x22x20H. b)Sofa Table Size, 45x15x28H. Easy To Assemble. Acme 7563. Mission Style Coffee Table. Also Available (Not Included In The Price) Matching End Table, Sofa Table And Cocktail Table. Strong Construction. Easy To Assemble. Antique Finish Coffee Table. Craved Edges, Wood Enlay Top. Dimensions: 53L. X 33W. X 18-1/2H.. Also Available (Not Included In The Price) End Table, Size: 28Dia. 23H. ; And Sofa Table, Size: 54L. X 22W. X 30H.. Easy To Assemble.